OBSERVER Photo by Damian Sebouhian The Red House in Cassadaga, has long been used as a venue for many years to host weddings and other events. The owners recently lost their appeal for a variance on the property and consequently will not be taking reservations for the time being. CASSADAGA — Steve and Nancy Wickmark, owners of the popular wedding venue known as the Red House, came to last week’s village board meeting to share that they will no longer be taking reservations, at least for the time being. 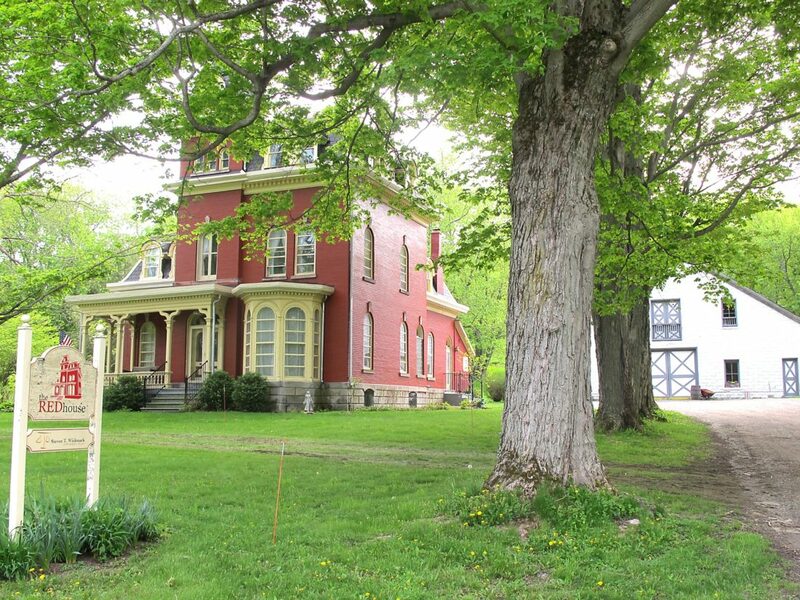 Although the historical family manor and block barn has been used for years as a venue for events, business retreats and as a get-away for tourists, because it’s located in a residential zoning district, the Red House can no longer operate as a business. Some have speculated that one or more neighbors had complained about loud music being played after hours and such complaints drove the ZBA to deny the Red House a variance. Part of the challenge for the Wickmarks is what to do with the over two-dozen reservations that have already been long-booked. Instead of renting out the property as a business transaction, it appears as if the Wickmarks will make it available for those with reservations this summer as if they are guests of the family. While the Wickmarks make the necessary changes to meet the ZBA ruling, Mr. Wickmark said that other changes regarding noise have already been made.